Church Health Center fights hunger with Empty Bowls Project. In 2010, a Gallup poll dubbed Memphis the hungriest city in the nation. Nationally, one in eight people experience "food insecurity" on a daily basis. However, in Shelby County, about one in five people struggle to find enough food to meet basic needs, according to the Mid-South Food Bank. The first-ever Memphis Empty Bowls Project will bring awareness of the city's hunger pangs this Sunday, November 11th, from 5 to 7 p.m. at Church Health Center Wellness at 1115 Union Avenue. "A lot of people don't realize what a problem food insecurity is in our city, and by coming to this event, hopefully it'll make them aware of the situation and how they can help," said Sarah Ranson, co-chair for the event. "How can you worry about education? How can you worry about your health? How can you worry about these things if you're focused on getting enough to eat? These are decisions that we're struggling to help people not have to make." Potters, educators, and artisans within the city have donated more than 300 handcrafted, hand-painted soup bowls for the project. In exchange for the $20 entry fee, participants will be provided a bowl to take home. There will be 12 soups available, all donated from local restaurants including Huey's, Brookhaven Pub and Grill, and McEwen's on Monroe. Event organizers hope the bowls will serve as a reminder of Memphis' food insecurity problems. Ranson said they're aiming to raise $10,000 from the event. Money raised will be donated to the Mid-South Food Bank, the Food and Hunger Ministries of St. John's United Methodist Church, and the nutritional education programs of the Church Health Center. Gwen English, a Memphis art teacher, created nearly 50 of the soup bowls with the homeschooled students she works with. "The kids in class had to create a design that was either beautiful, colorful, uplifting, and happy or directly correlated to hunger awareness in the Mid-South," English said. "I have students who range from 5th to 12th grade. A lot of the younger kids went for the uplifting approach, and a lot of the older kids have done some great designs illustrating the principle that not every bowl is full. 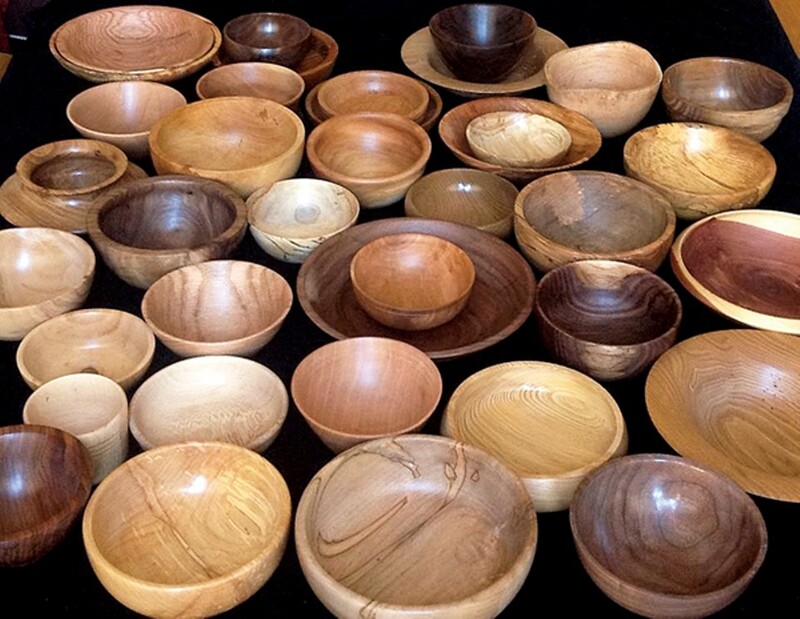 One student drew 100 bowls but only showed steam coming from eight of them. Another student drew a bowl with a globe over it and the words "Stopping global hunger one day at a time." "With the event, I want people to understand that [they may] have plenty to eat [but] that others in the community may not be as fortunate," said Lisa Hudson, an artist who donated 15 bowls. "Everybody who can needs to give what they can and contribute to help others." There will be a silent auction and art sale during the event featuring work by local artists. Focus for the Good, a nonprofit that uses the work of professional and student photographers to raise awareness of poverty, will be exhibiting its "Forgotten Faces of Memphis" photography series. Although this is the first Empty Bowls Project in Memphis, the program has been held across the nation since 1990.